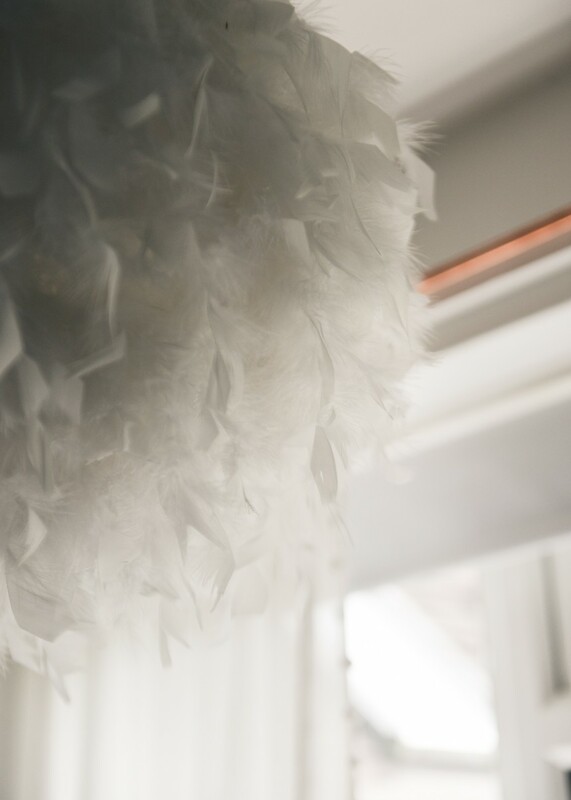 Lighting is something I’ve very much left until last in the house…that or changed my mind alot! Previous owners seem to have had a penchant for downlights which are all around the house, with no less than 20 (TWENTY?!) in the kitchen alone! They have their place for sure, but they also limit options to some extent. I’d love to have pendants, but can’t face the idea of a ceiling full of holes to deal with, so, I’ve tended to opt for floor or pluggable wall lights instead. 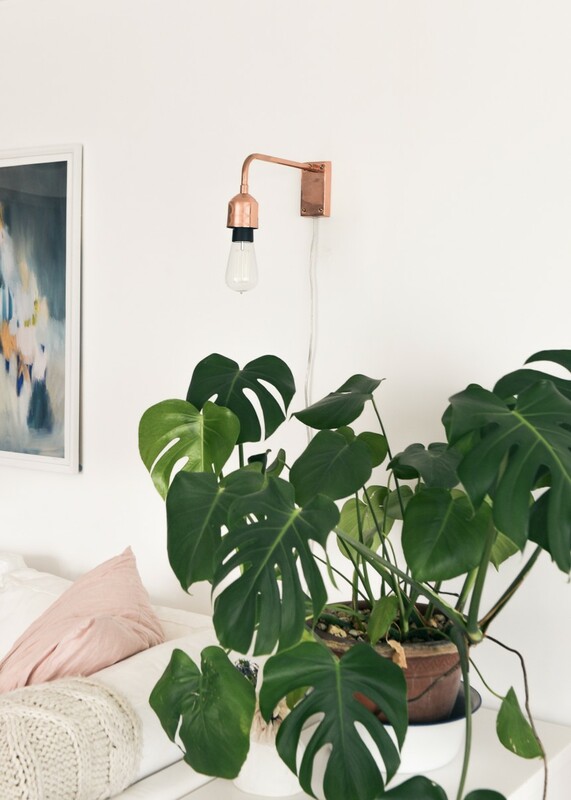 One of the few spaces with ceiling lights is Boo’s room, where I had great fun in choosing something textural, and the hallway where I indulged my love for copper. 1\\ I love the textural quality & colours of Ruth Holly’s lighting, and particularly the Breeze lampshade in blue tones as shown in the top image above. It’s beautifully replaced the one Tabitha trashed in early adventures! 2\\ The copper wall lights in the second image are my all-time favourites. I was lucky enough to win one via The Design Sheppard & bought the second from OutThereInteriors to match. They’ve been in my room as a pair until recently, but I’ve now split them & this one sits perfectly over the new (old) sofa in the lounge to give perfectly pitched & practical lighting. 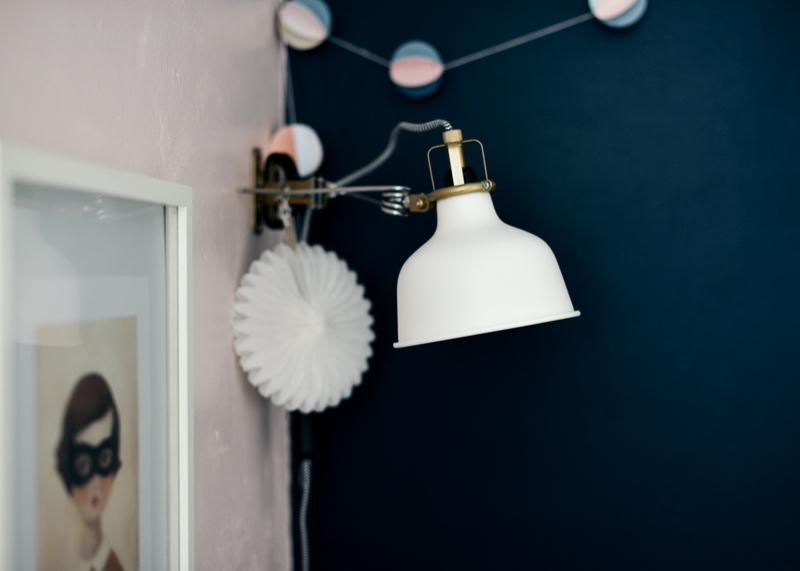 3\\ I recently came across Iconic Lights, which is a great site for retro & repro style lights on a budget. 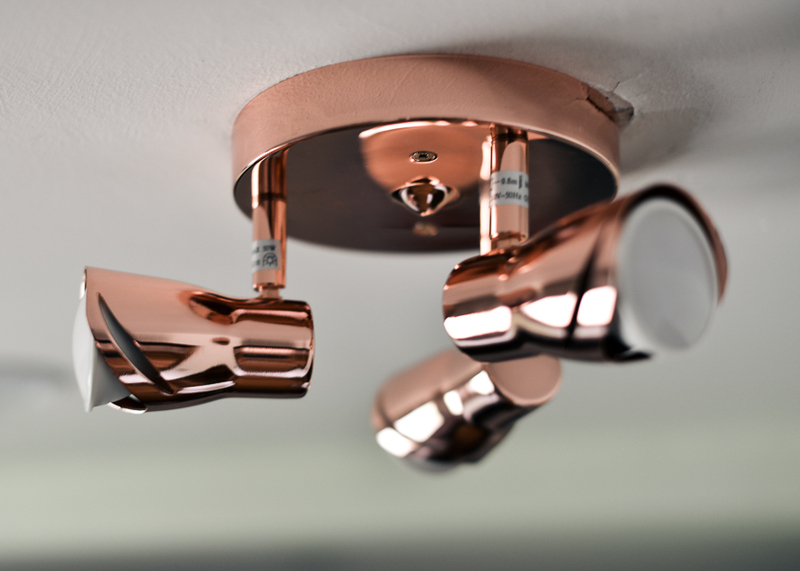 I’d been wanting to change the hall & landing lights for almost two years, but it wasn’t really a priority budget wise, so I was please to find the copper ceiling lights (as shown in image three) for a mere £25 each. 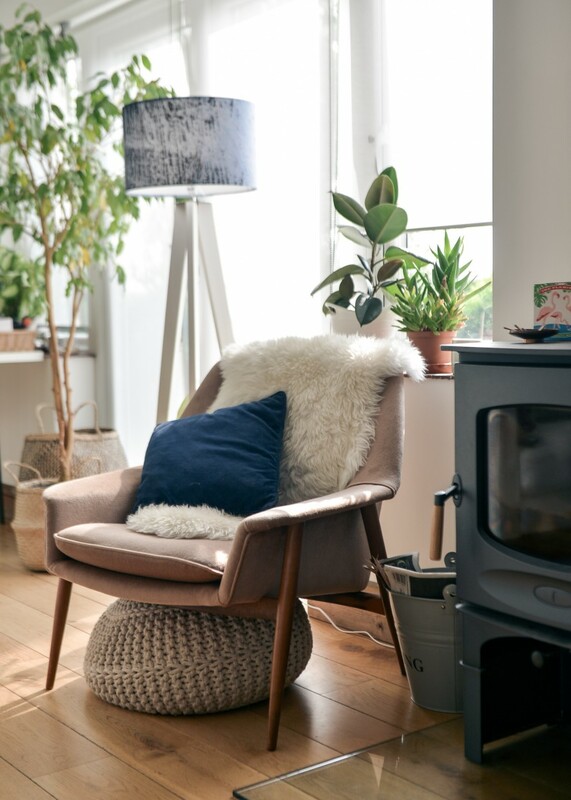 I fitted them with daylight lamps, which are a little bright when lit, to be honest – I may have been better with the warmer version – but otherwise, they look great. 5\\ This light (image five) is also in Boo’s room as her new reading light. It’s the RANARP lamp from Ikea which can be wall mounted or clamped, and gives just the right amount of light for bedtime reads. With thanks to B&Q & Iconic Lights for their contribution to this post.